I have seen quite a few general histories of tanks and naturally they have been a hit and miss affair. But there are some gems, and I always find something to like in a book about the beasts. Tanks, like classic aircraft, can excite deep emotions and quite intense interest from some admirers. I know for sure that many other things fall into this bracket, including performance cars, steam engines and even quite humble vehicles propelled by the internal combustion engine. Don’t start me off on Renault 5 cars. 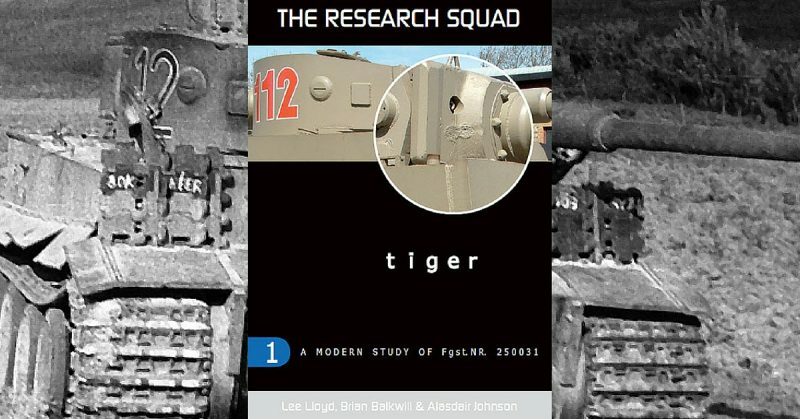 This book from the Research Squad is very different because all their effort is centred on one particular much-travelled Tiger tank. 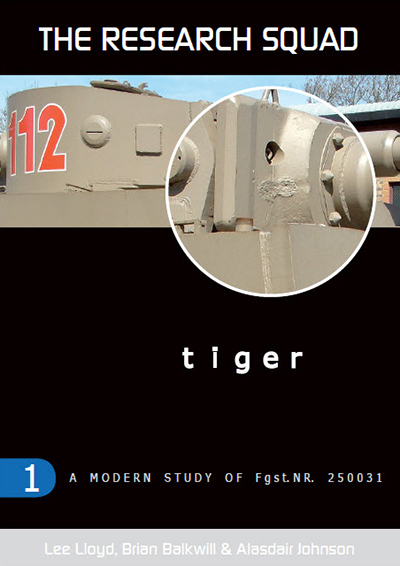 The authors give us a post-war life story of the vehicle and its journey from North Africa to the USA, where the Tiger went through extensive testing and examination by engineers. From there the tank was put on display at the Aberdeen Proving Ground, a place everyone knows from the near standard set of images of the collection that used to turn up in every tank book. My first one was called the Guinness Book of Tank Facts and Feats, and I think I got for Christmas in 1971 or ’72. It is long gone now, but I remember how many of the snaps in it showed tanks on view at the APG. The Tiger was loaned to a museum in Germany and after its time there it went into storage at the Wheatcroft Collection in England. This is where the authors were given access to produce their thorough nut and bolt survey of the vehicle. Their meticulous work forms the basis of the book. The Tiger is now back in the United States, and the authors are right to say it is the most travelled Tiger of them all. I have to be honest in saying the level of detail in this book is way beyond my simple needs. But there is no doubt in my mind that the work done by the authors is really impressive. They have carried out a forensic autopsy in the strongest detail. This book is the first volume of a set that will show every facet of the vehicle from track pin to cupola. Aside from a mass of detailed photographs, we are also treated to a range of CAD drawings and other diagrams. The inference is, should you have the daft notion of building one of these things from scratch or more likely of finding enough bits to put one back together, this book will provide the means to make the thing complete. Most billionaires may prefer P51s or C Type Jags to dazzle the socks off their supermodel chums, but there are one or two who like a good tank. So, you never know; a book like this might just be the Ikea instruction sheet they are all dreaming of. Sadly, my copy came without an Allen Key. As I said, some tank books are pretty general with nice photos and the sort of script the manchild in us all like. Others are more detailed and act pretty serious. Then there is stuff like this. It’s a bit like a celebrity death match between Mr. Spock and Mr. Bean. There really can be only one winner. If you’re making plastic or resin models or really going for it with the sort of big scale all metal stuff you find from Armortek, this book will provide a wealth of information to super detail your pride and joy. It is a book for engineers because it lays bare the incredible complexity of this most iconic of tanks. I come from the shallow end of the tank park. I get occasional kicks from photographing Tiger 131 at the Tank Museum and have limited my technical immersion to gluey moments with versions from Airfix and Tamiya. That was all a long time ago, but the Tiger remains the tank for many people. It is the must have for any premier league collection and Bovington proves it also the go-to tank as well. The crowds at Tiger Day and Tankfest bare this out. Lee Lloyd, Brian Balkwill, and Alasdair Johnson are in way too deep for my simple brain. But their hard work has produced something genuinely unique. This book and its sister volumes to follow really are the sort of things that committed tank admirers will want on their bookshelves. The book is attractive, easy to follow and diverting enough for a know-nothing like moi. For the really knowledgeable it will be just as welcome. Well done, lads.